The Chequers0844 209 2555 work Guest AccommodationThe Chequers is an old group of buildings consisting of a former pub and working farm that have been a part of Baldock's history for over a century. Now an award winning hotel, located in a beautiful area of the British countryside, we have a wide range of restaurants, pubs and shops within short distance of the hotel, while London is easily commutable for those looking to go further afield. We have many leisure activities available including fishing, shooting and an onsite gym. The guest sitting room has comfy sofas and a large open log fire. We provide a wide selection of books and magazines for guests to enjoy. Wi-Fi is free and available throughout the house. 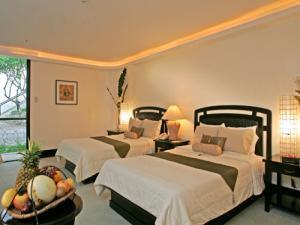 Our property also has laundry and ironing facilities, as well as a night porter. The building has full wheelchair accessibility and passenger lift. A beautiful twin room with full length windows onto a great view. The Chequers sometimes limits bookings to 3 or more days. Daffodil sometimes limits bookings to 3 or more days. Package Family sometimes limits bookings to 3 or more days. Beautiful rooms with dual aspect and a cosy sitting area. This room contains a twin bed. Primrose sometimes limits bookings to 3 or more days. test1 sometimes limits bookings to 3 or more days. The Chequers is an old group of buildings consisting of a former pub and working farm that have been a part of Baldock's history for over a century. Our rooms are extremely comfortable, with spectacular views of the local countryside. With fresh coffee, specialty teas and homemade biscuits. All rooms also have a flat screen TV/radio with Freeview and iPod connection.